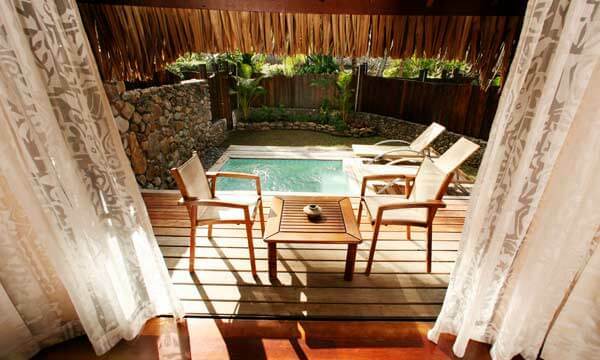 Manava Resort and Spa is a traditional Polynesian style hotel situated on seven and a half acres of white sand beachfront, two miles from the magnificent Cook’s Bay. The island’s mountain slopes are covered with pineapple plantations and white sand beaches border crystalline lagoons. 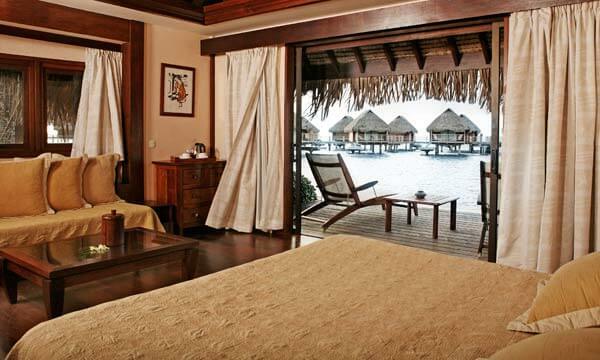 The resort offers 28 Overwater Bungalows, 9 Beach Bungalows, 28 Garden Bungalows and 30 Garden Rooms. All feature ceiling fan, air conditioning and sundeck. 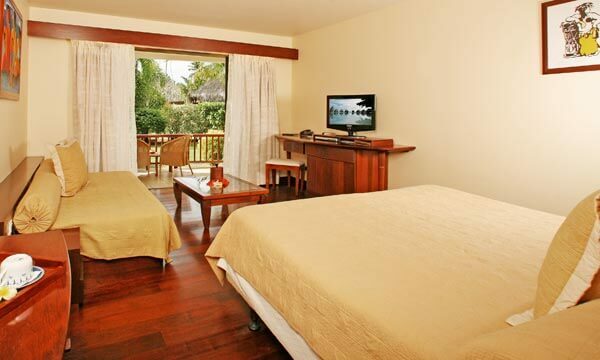 The Overwater Bungalows have a large sundeck and a sitting area with direct access to the lagoon. 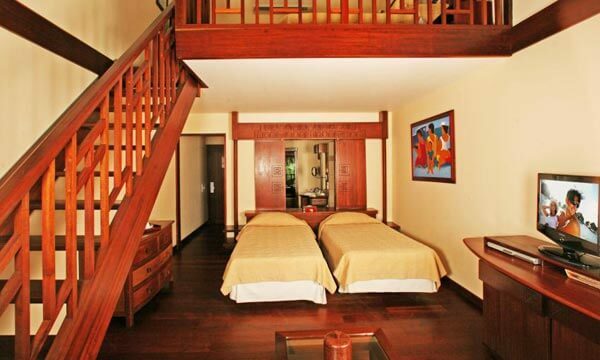 The resort has two restaurants and one bar plus a wide range of entertainment features.